This is a scene in the show "Corpus Christi". The man in front is Joshua (Jesus) and the one behind is Judas. The scene is during the temptation, with Satan just out of shot. The emotion, the passion, and the intensity of these two actors astounds me. 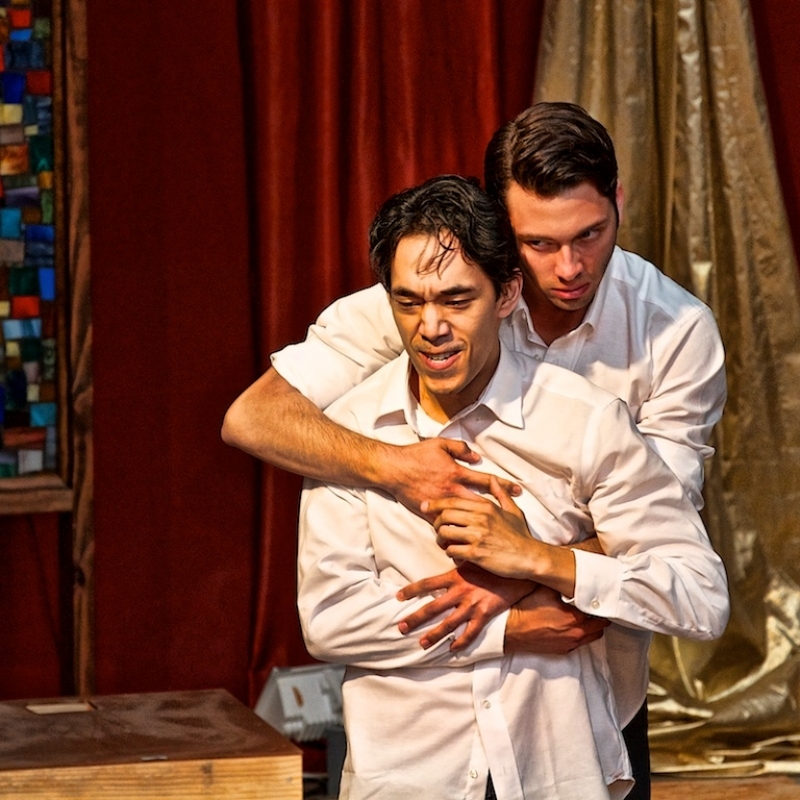 Jonathan Itchon as Joshua, Josh Wechsler as Judas, show by the Austin Theatre Project, Austin, Texas.